Having enjoyed a lifelong love of precious metal embroidery, Deborah Merrick-Wilson channeled her passion into a career with the establishment of a design and manufacturing company marketing needlework designs and materials to over 400 retail outlets. An award-winning embroiderer in her own right, Deborah is a recipient of the Eleanor Custis Lewis Best in Show award at both the 2015 and 2018 Woodlawn Plantation Needlework Exhibits and the Frank Lloyd Wright Award for Outstanding Original Design at its 2016 event. She was awarded multidisciplinary Certification With Distinction recognition from the Royal School of Needlework at Hampton Court Palace, served as an elected member of the Board of Directors of the National Needlearts Association and was awarded TNNA's 30th Anniversary Jubilee award for contributions to the needlearts industry. 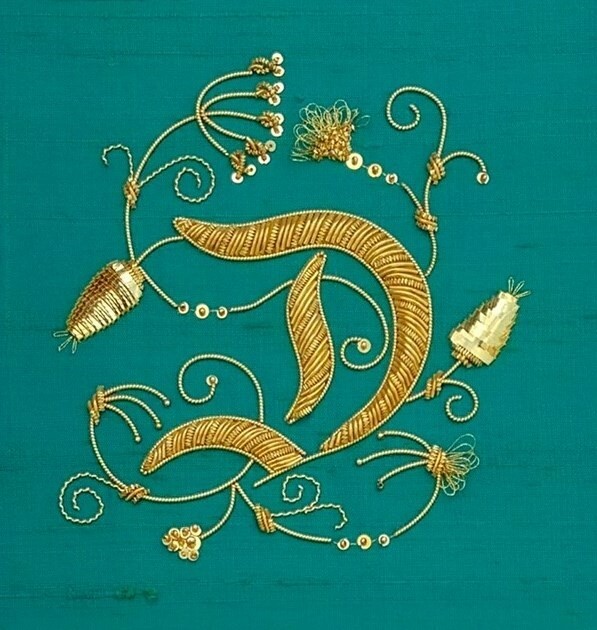 Deborah has composed over 500 instructional guides, written for numerous needlework publications, and has taught precious metal embroidery classes internationally for amateur and professional individuals, groups, trade associations, guilds, and universities for over 30 years. She has had the privilege of welcoming students from every state in the union as well as Australia, England, Hungary, Thailand, Canada, Mexico, Scotland, and Japan to her classes. Her international seminars have been met with great enthusiasm. 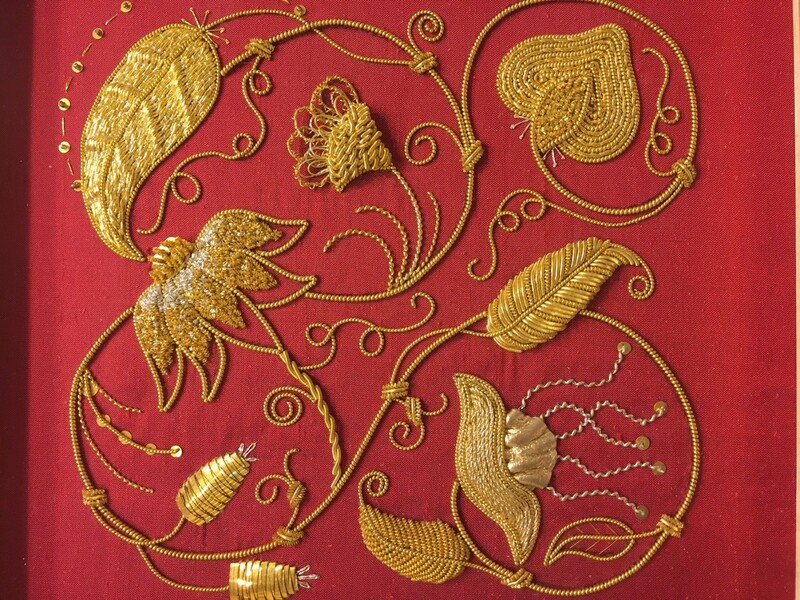 As a scholar of English medieval through early modern precious metal embroideries, Deborah continues her study of the discipline as a Reader at the Folger Shakespeare Library. She teaches and accepts private commissions on a limited basis. 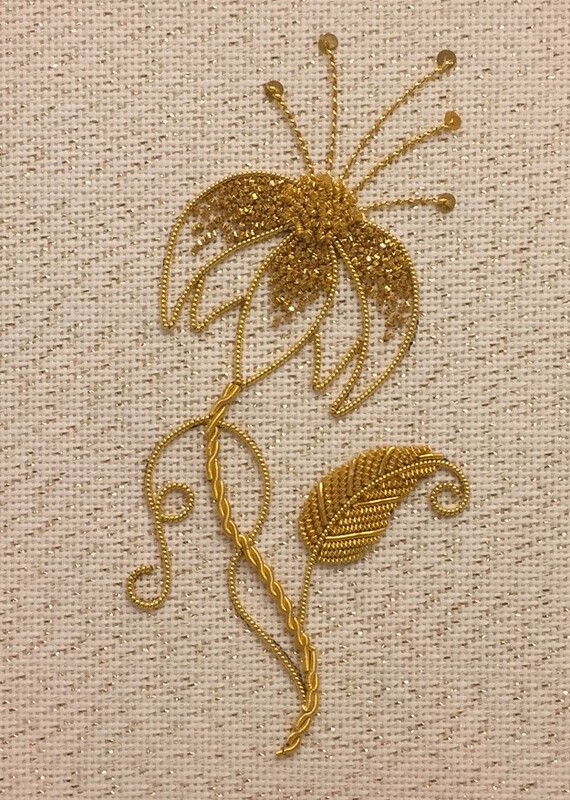 I find few things more gratifying than sharing my love of English precious metal embroidery with others. Watching a student’s eyes light up as they apply a piece of real gold to fabric in a way reminiscent of what we can now view rarely outside of the confines of portraiture from an earlier age is an exhilarating experience. It provides us with the opportunity to execute a project that allows us to step back in time and experience the glittering court costumes and furnishings of England’s Golden Age.